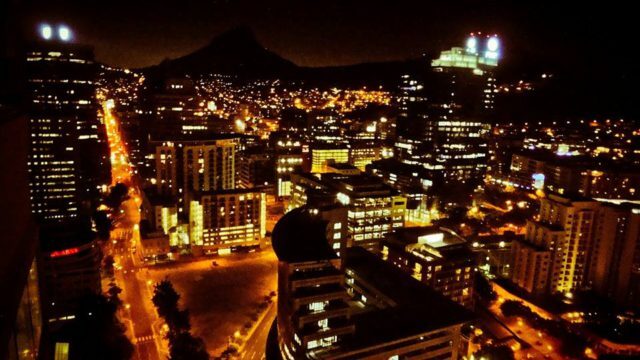 What is the state of Economic Freedom in South Africa at the end of 2015? Is Economic Freedom increasing or decreasing? Are we on the road to a more prosperous country driven by innovation, entrepreneurship and market-based solutions to social problems? Or are we on the road to increased regulations, more unnecessary interference in the economy and entrenched poverty? What do we mean by Economic Freedom? Before we begin a discussion about Economic Freedom, its important to define exactly what we are talking about. Economic freedom is the degree of freedom someone to control his or her own labour and property. In a society with economic freedom, individuals are free to work, produce, consume, and invest in any way they want. In economically free societies, governments allow labour, capital, and goods to move freely, and refrain from coercion or constraining liberty beyond the extent necessary to protect and maintain liberty itself. Both major indices measure the level of freedom that someone has in relation to running a business. Economic freedom brings greater prosperity. Economic Freedom indices document the positive relationship between economic freedom and a variety of positive social and economic goals. The ideals of economic freedom are strongly associated with healthier societies, cleaner environments, greater per capita wealth, human development, democracy, and poverty elimination. What is the relationship between Economic Freedom and Entrepreneurship? In many ways, economic freedom is shorthand for an openness to entrepreneurial activity that increases opportunity for people to succeed in their own endeavors. 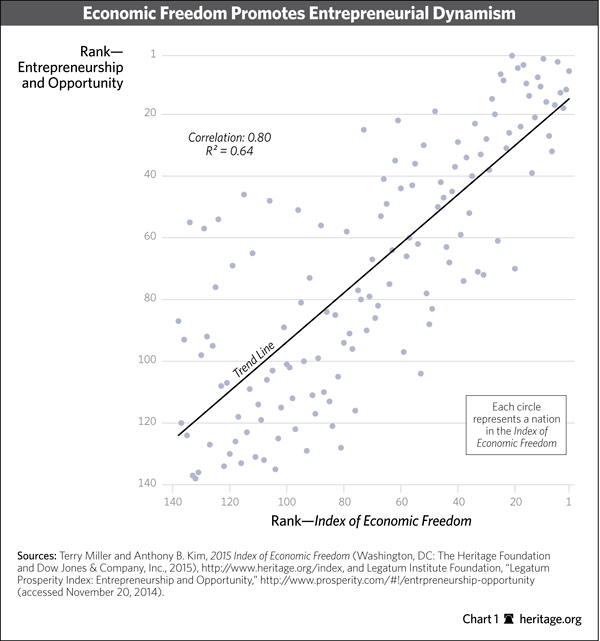 Above: Data showing the correlation between entrepreneurship and economic freedom. Given such a strong correlation, it should be apparent that a government’s most effective activity will not be to increase its own spending or increase the amount of regulation, both of which reduce economic freedom. Instead, the best results are likely to be achieved through policy reforms that improve the incentives that drive entrepreneurial activity, creating more opportunities for greater dynamism and innovation in the economy. Read more at this link. Which Countries have the greatest Economic Freedom? 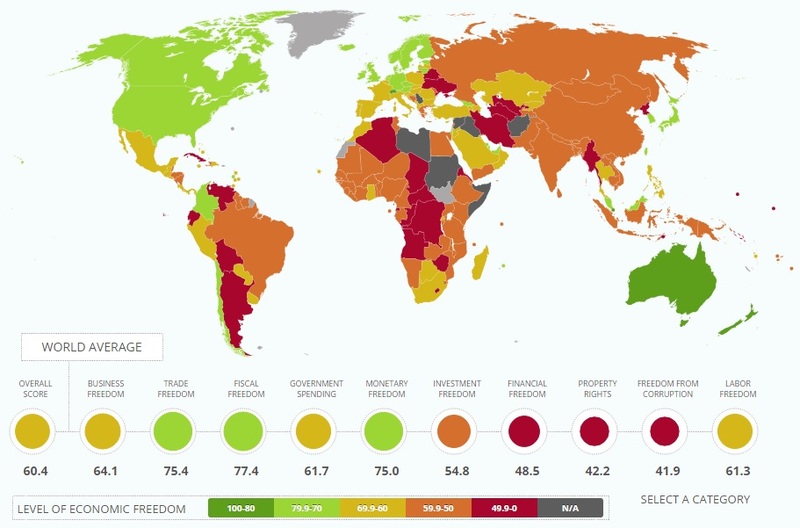 Which Countries have the least Economic Freedom? 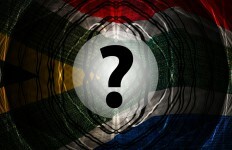 How much Economic Freedom does South Africa currently have? According to the Economic Freedom of the World Report 2015 South Africa ranks 96th most economically free country in the world, with a score of 6.74 / 10. Other countries with similar scores were Swaziland (6.79), Suriname (6.77), Kyrgyz Republic (6.73) and Madagascar (6.71). According to the Index of Economic Freedom South Africa’s economic score is 62.6, making its economy the 72nd freest in the 2015 Index. 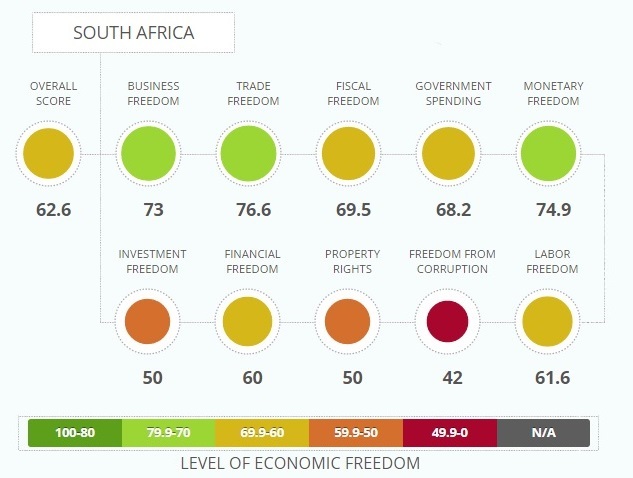 “South Africa’s economic freedom score is 62.6, making its economy the 72nd freest in the 2015 Index. Its score is essentially unchanged from last year, with a 0.1-point gain reflecting improvements in labor freedom, fiscal freedom, trade freedom, and freedom from corruption that are largely offset by declines in investment freedom, business freedom, and the management of government spending. 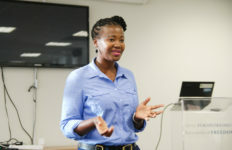 South Africa is ranked 6th out of 46 countries in the Sub-Saharan Africa region, and its overall score is higher than the world and regional averages. South Africa’s large domestic market and natural resource base make it a promising candidate for economic freedom–led growth. However, recent labor unrest and falling commodity prices have undermined growth and tarnished the economy’s investment reputation. 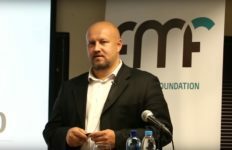 What happens if we don’t increase economic freedom in South Africa? If we do not increase economic freedom, South Africa will continue to experience high levels of poverty, unemployment, crony capitalism and crime. If our economy is to grow rapidly, reduce unemployment, reduce poverty and inequality, the first requirement is for government to reduce the regulations and barriers for entrepreneurs and businesses. The courts and the legal systems must function properly and maintain the rule of law. This includes rooting out corruption among police departments and making sure the SAPS keeps people and their property safe. The labour laws must be changed to allow the unemployed to compete for jobs and red tape must be cut drastically. We know from historical evidence and by observing how policy affects the economy that these changes will make a difference and help create prosperity and economic growth.